Torance, CA (April 5, 2016) TransPak, a leading provider of logistics solutions, custom crating, packaging, and design, is proud to be named Nestle’s New Carrier of the Year. 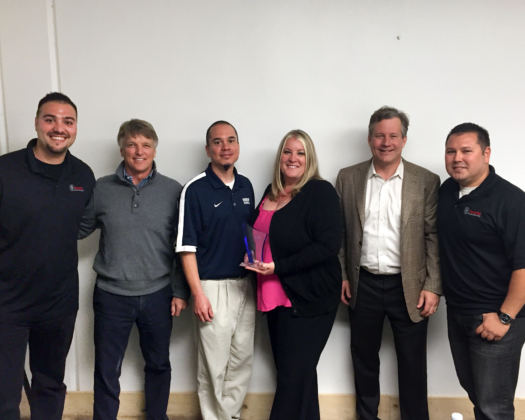 TransPak received this award to recognize their customer service and operational excellence. TransPak’s responsiveness, attitude, dependability and problem-solving set them apart. The Los Angeles-based team achieved a flawless service record with one of Nestle's core customers. Nestle monitors all of its suppliers—literally thousands of deliveries daily—with a monthly scorecard. They rate pick-up, delivery, damages, and safety. TransPak achieved 99% across all categories for 2015. TransPak’s team will be formally be recognized at Nestle’s Preferred Suppliers Conference held annually in Georgia.